Gtmhub is a helpful fellow when it comes to reminding that your key result updates are due. With cadence settings, you can define how often OKRs should be updated, what is the deadline for updating them, as well as when the reports should be sent. 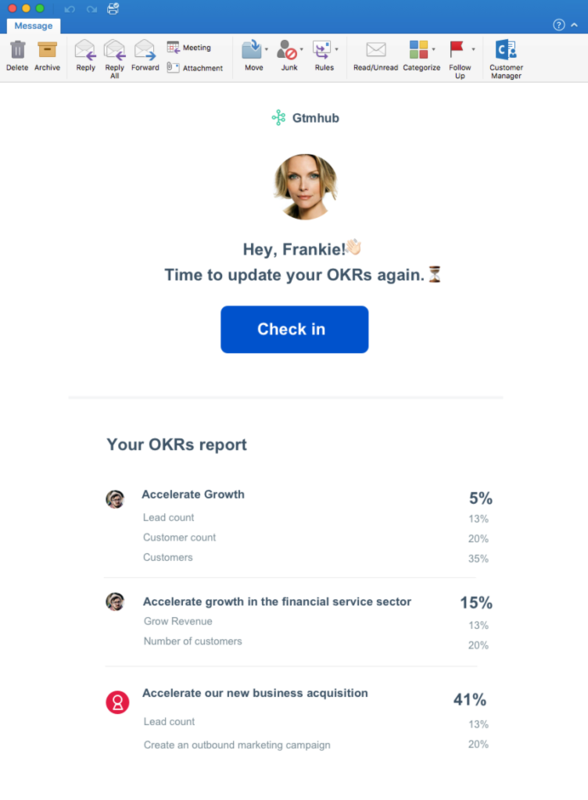 You can also choose whether to turn off email reminders for updating key results (Check-in deadline), the aggregated OKR reports (Personal and team reports), or even both.